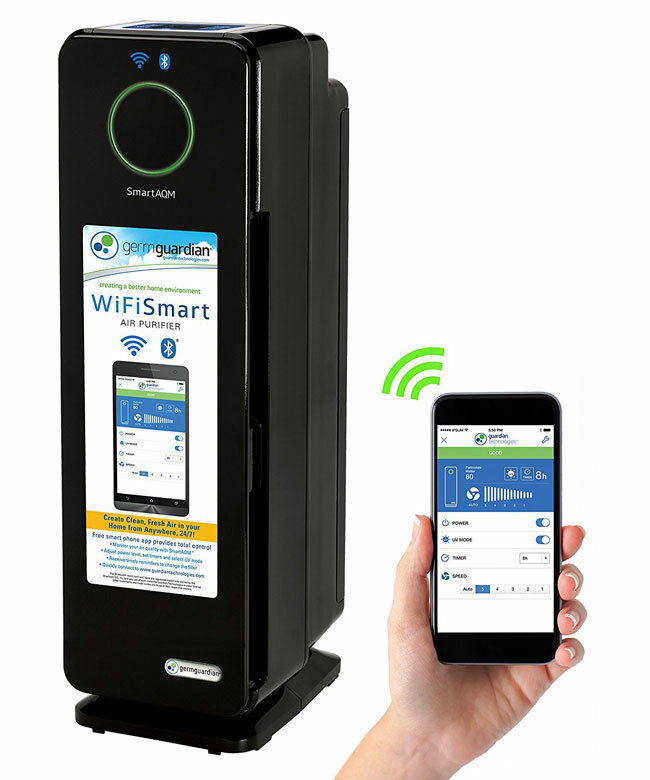 Here is another smart coffee machine that integrates with your smart home devices to better serve you. 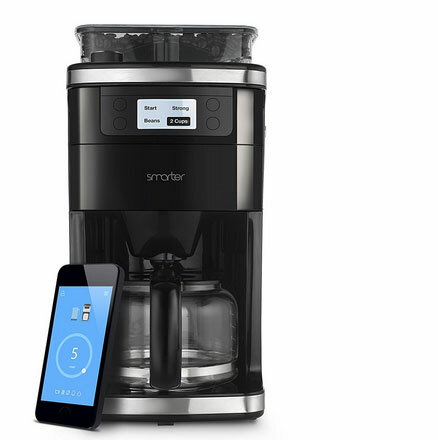 The Smarter SMCOF0 coffee machine allows you to start a brew from anywhere using your smartphone. It has Wake up and Home modes to allow you to brew coffee when you wake up or return home. 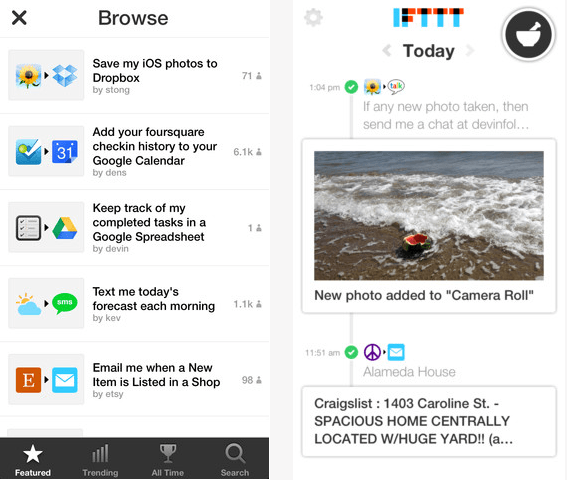 IFTTT and Amazon Echo are supported. This machine allows you to adjust the strength of your coffee and other settings from your smartphone. You can make up to 12 cups of coffee in this. The Smarter Coffee 2nd Generation is expected to ship in April.